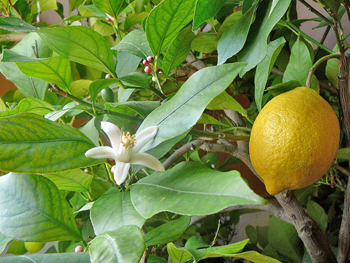 Lemons grow on trees, particularly in California and Florida. 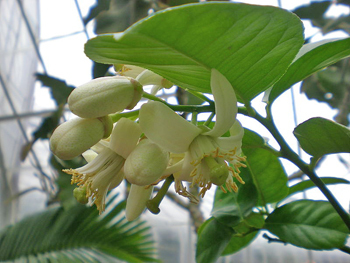 Used as Vermouth flavorings; oil and fresh peel used in liqueurs and aperitifs; and is a lemon hair rinse for blondes. Gives blond highlights. Use the strained juice of 2 lemons in an equal amount of warm water. Leave on 15 minutes and sit in the sun if possible. Then rinse out. The juices of lemons and other citrus fruits are often added to cosmetic preparations because of their astringent and acidic qualities. Lemon juice is a popular home remedy for numerous ailments, particularly colds, coughs, asthma, sore throats, diphtheria, influenza, heart burn, liver complaints, fevers. It is sometimes taken for headaches, nourishes the brain and nerve cells, neuralgia, scurvy, blood purifier, malaria, rickets, tuberculosis, gout, and chronic rheumatism. 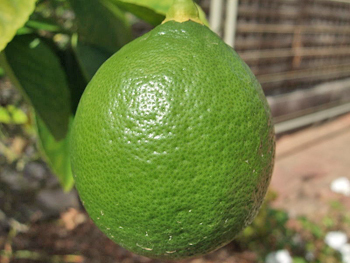 Externally, lemon juice can be used on sunburn, warts, felons, and corns. It is currently enjoying a revival of interest in hair rinse and facial astringent. Lemon’s vitamin C and astringency also make lemon powder useful to stop bleeding in wounds. Always take lemon juice without sweetening. Use lemon juice in place of vinegar, also all a little juice to dried fruits, this adds to the flavor. Add while stewing the fruit. 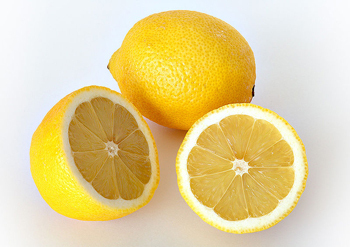 Remove vegetable stains from hands by rubbing with lemon juice. Keeps hands soft and removes odors such as onions. To remove ink stains, iron rust, or fruit stains, rub the stain well with lemon juice, cover with salt, and put in the sun. Repeat if necessary. Take lemon juice straight or diluted with water, preferably unsweetened. For coughs and colds, add honey (and some liquor, if you are inclined that way). For a cold, take a hot bath and go to bed. Before falling asleep, have a cup of hot lemon juice (1 lemon) and water in which you have dissolved 1 tbsp. of honey and 2 tbsp. of liquor. You’ll wake the next morning with your cold gone–or at least considerably better. For persistent coughing, take a tsp. of honey with fresh lemon juice squeezed over it. Hold in the mouth and swallow slowly. Unlike drug cough medicines, you can use this as frequently as you like. The juice of a lemon mixed with a pint of warm water can be used as a retention enema for acute hemorrhoids; retain for 5 minutes. Lemon juice in hot water is said to relieve stomach distress and dizziness. The juice of a lemon in a glass of warm water upon arising is a good habit to promote regularity. Found in the produce department of the supermarket. Ensure essential oil is well diluted before use; it can irritate the skin.